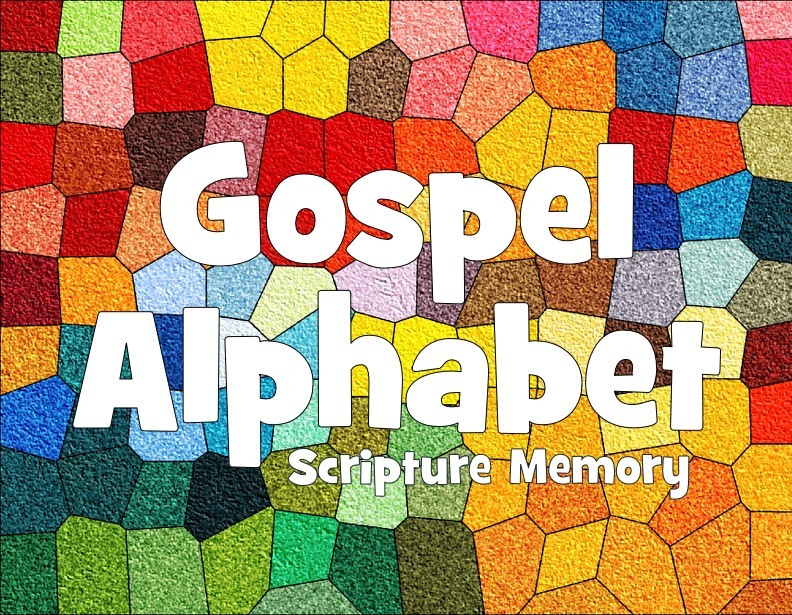 We are so excited for the release of our 2019 Scripture Memory Program: Gospel Alphabet! Please scroll down to find out more about the Program and get involved! The Children’s Sunday School provides a nursery for children ages 3 and under and graded classes for 4-year-olds through high school. Please see the Sunday School tab here for specific classroom locations as well as current curricula. All of our children are welcome to be a part of the worship service. We also provide a Nursery and Children’s Worship for children in grades 3 and younger. The Nursery is available for our youngest members of the church family, ages 2 and younger for all of the service. Children’s Worship is available for our children through grade 3 for a portion of the worship service. Preschoolers’ Worship is for children ages 3 through Kindergarten, and Primary Worship is for children in grades 1 through 3. Both classes seek to help our children transition into the worship service, so their time together includes singing and a lesson. It is our prayer that this program will indeed allow the word of Christ to dwell in you richly, as we are intentional in our efforts to memorize God’s word! The program is designed to be primarily implemented in the home. While the verses and songs may be reviewed at church on Sunday in Sunday School or Children’s Worship, this review will not be sufficient for successful memorization. We hope that these tools for Scripture memory will be a blessing to you and your family as you work together to infuse your daily lives with God’s Word. a master list of verses that you can post on your refrigerator or bathroom mirror or child’s room—wherever you find it to be the most helpful! Music Coordinator Keiko Ying put all of these scripture passages to song—thank you Keiko! In addition to the CD, you may access all of the songs on YouTube here! Or listen below! Several times each year we gather together to learn more about one of the missionaries that we as a church support throughout the world. We sing songs, work on crafts, play games, and learn more about our missionaries! This past fall we dived into Mexico and learned more about Dr. Jody Collinge and the work she is doing with Community Health Evangelism in Mexico and throughout the world!